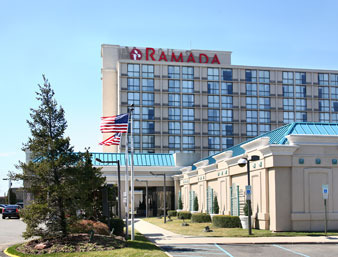 Ramada Newark Airport hotel is constantly busy with international travelers arriving and departing day and night, as it is only one mile from Newark International Airport. 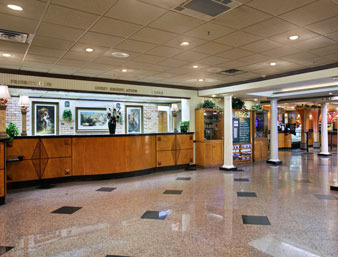 The granite-floored lobby is lavishly decorated with banquettes, potted plants, and a fountain. The hotel features amenities such as a 100-yard outdoor jogging track, fitness room, complimentary wireless internet access, a complimentary 24-hour airport shuttle, and laundry facilities. $15 daily parking fee for guests. No park-n-fly packages offered. 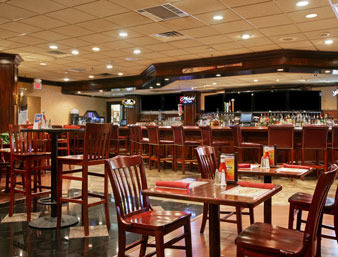 Ramada Plaza Newark Liberty International Airport is the perfect Newark lodging choice for your trip to New Jersey. 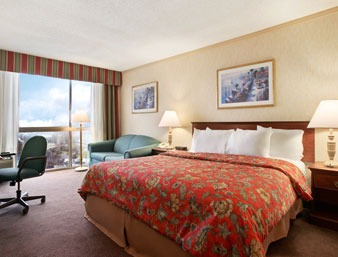 With numerous amenities for guests such as room service, 24 hour front desk, cable/satellite tv, you will wake up at Ramada Plaza Newark Liberty International Airport feeling invigorated every day for your time in Newark. Don’t let this amazing reservation opportunity pass you by, book your stay at Ramada Plaza Newark Liberty International Airport today to make the most of your time in Newark, New Jersey.